“What keeps users coming back to Viber is the fact that it’s a fun and seamless platform that keeps them feeling connected with their loved ones and favorite brands.,” said Danny Odes, Mobile Product Manager at Viber. 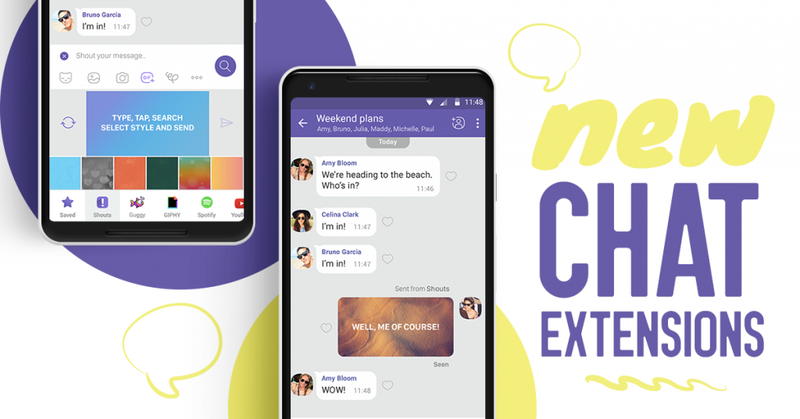 “I want to create products that help people make more meaningful connections, and I look to Mixpanel for quantitative evidence of where we need to improve the user experience, so people can truly express themselves on our platform,” he added. 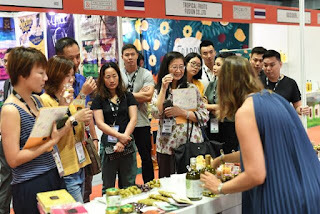 Now in its second year, Speciality & Fine Food Asia (SFFA) and Restaurant, Pub & Bar Asia (RPB Asia) welcomed more than 3,300 visitors from the food and beverage and hospitality industries across Southeast Asia, with 160 local and international exhibiting companies and eight national pavilions from 20 countries for the three-day shows and related events. 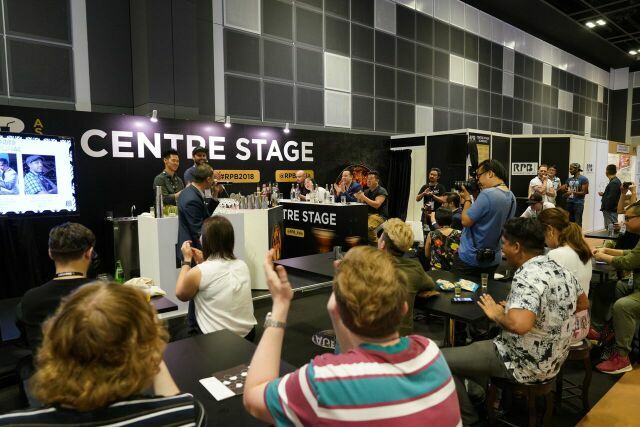 The trade-only shows saw buyers and exhibitors in a focused environment – making valuable contacts, signing multi-million dollar deals and learning from industry experts through a series of engaging panel discussions, cooking demos by star chefs, and beverage masterclasses by sommeliers, bartenders, sake and tea masters. 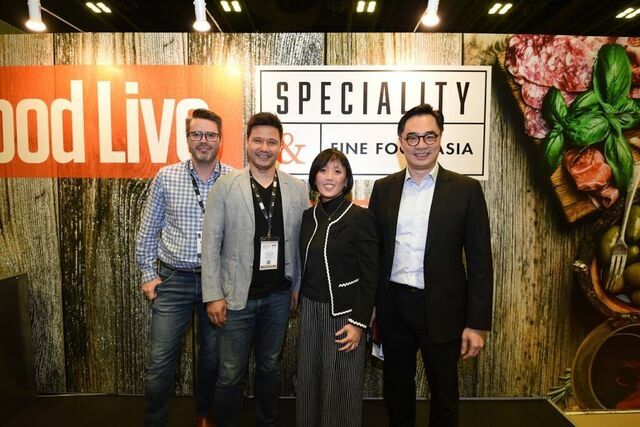 “It was a truly invigorating experience at SFFA and RPB Asia this year,” says Christopher McCuin, Managing Director of Montgomery Asia, which organised the shows. 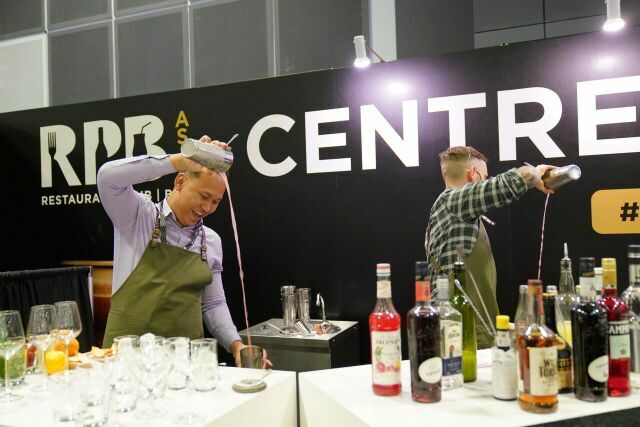 “We listened to visitors’ and exhibitors’ feedback from our first year and improved on creating more onsite programming, and finding the right experts to speak on topics that were important to them. For the first time this year, we collaborated with industry partners such as FoodBev Media, The Bar Awards, Restaurant Association of Singapore and Singapore Halal Culinary Federation to co-organise competitions and workshops at the shows which provided more depth and relevance to the F&B industry. It’s exciting to see the shows go from strength to strength and we look forward to creating an even bigger impact in 2019. 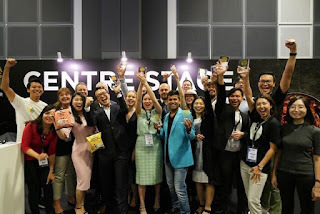 Inaugural Investor Pitching Series – SFFA launched a new Investor Pitching Series to provide a practical springboard for companies with exciting, innovative ideas to pitch their concepts and products to a panel of industry judges for real-time feedback. 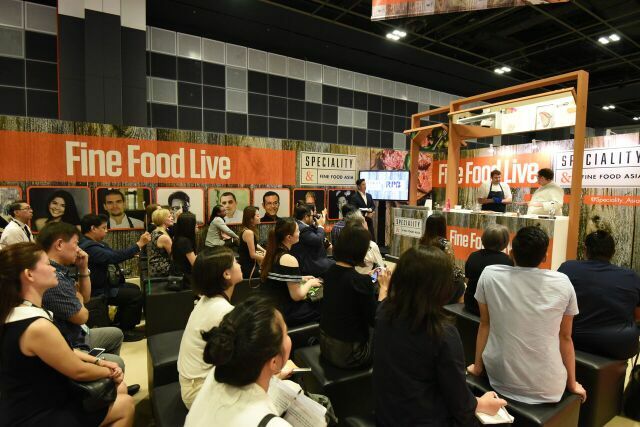 Split into two tracks – ‘Innovative F&B Products’ and ‘Productive Business Solutions for the F&B Industry’, the latter designed in collaboration with Restaurant Association of Singapore to solicit actual business and product proposals that will allow local businesses to thrive above the global competition – the sessions drew packed audiences across the two days. 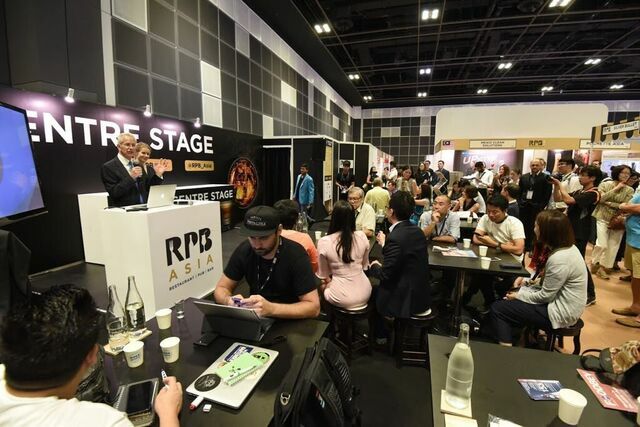 Over 10 companies live-pitched their ideas to a panel of industry leaders including representatives from MasterCard, Golden Equator Consulting, The Lo & Behold Group, UOB, Enterprise Singapore, and more. 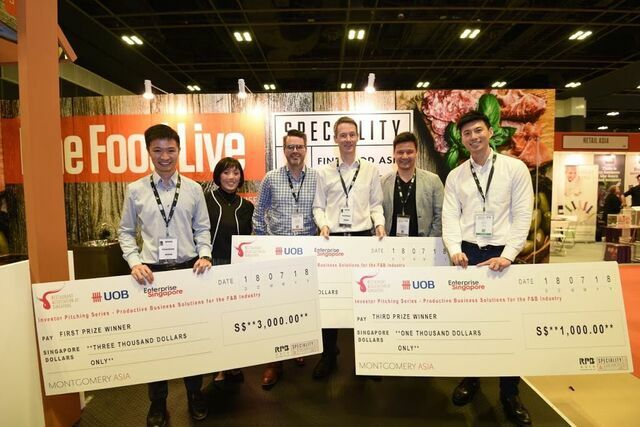 The top three winners in the ‘Productive Business Solutions for the F&B Industry’ track were Good for Food, Beekeeper Communications and TAB – all local companies that leveraged technology to solve real-life challenges faced by the F&B industry. Inaugural Asia Food Innovation Awards by FoodBev Media – Designed to celebrate excellence across every category of the global food industry and offer brands an exciting way to showcase their R&D achievements, this was the Asian edition of the globally-recognised Food Innovation Awards. This year, there were 14 winners, a number of whom were also exhibiting at the Shows, including LUVCACAO, who won ‘Best Artisan Product’ for their Azzan White Chocolate; Coco & Lucas’ Kitchen, who took home ‘Best Children’s Product’; The M Plot, who clinched ‘Best Confectionery’ for The M Plot Macarons; and local company Foodie Drools, whose F.EAST Potato Chips in flavours like Chicken Rice and Laksa were the talk of the town at SFFA, and was named ‘Best New Brand’. 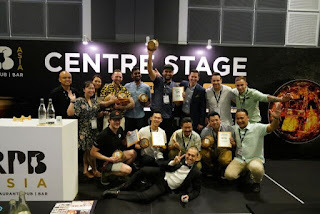 A full list of winners can be found at: https://www.foodbev.com/news/winners-in-asia-food-innovation-awards-announced/Inaugural Restaurant, Pub & Bar Asia Bartender Invitational 2018 – Show Partner, The Bar Awards, introduced their first regional competition, which saw four Bartender of the Year award winners from four cities battle it out with a series of tough challenges in an intense three-day competition for the ultimate title of Bartender of the Year 2018. Launch of e2i ULeap F&B Modules – SFFA 2018 also saw the launch of e2i’s new F&B mobile modules on ULeap, a mobile learning app, for quick, bite-sized learning on the F&B industry. 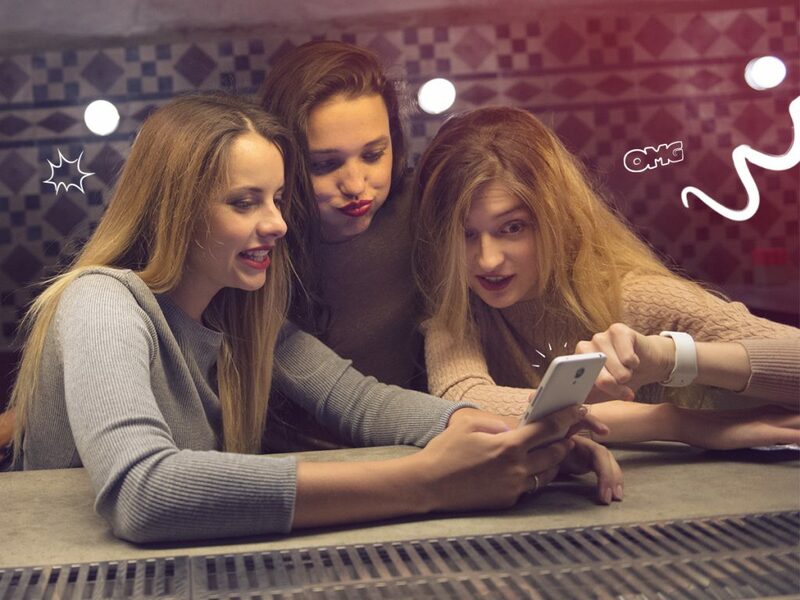 ULeap is a mobile learning platform, with short multimedia content on various topics contributed by Knowledge Partners (e.g industry partners, Institutes of Higher Learning and Professional Associations, etc. ), allowing learners to stay up-to-date on current trending issues and participate in various learning communities to discuss best practices and exchange knowledge. time bite-sized lessons on ULeap to meet current demands. They will also take the roles of moderators and validators in the learning communities. The topics of the new F&B modules range from practical tips for hands-on learners; tools and content for business owners; as well as guides for learners who like to know where their food comes from, and insights into the future of F&B technology, or “culinology”. Chef Demos and Hot Topic Panel Discussions at Fine Food Live – A core component of SFFA, Fine Food Live is the mainstage where chef demos, panel discussions, and more took place. 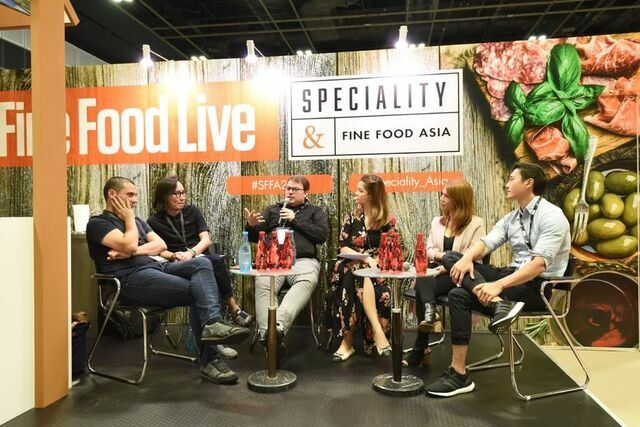 Chef Isaac Mchale of Michelin-starred The Clove Club – also the highest ranked UK restaurant on The World’s 50 Best Restaurants – headlined the show for his first official visit to Singapore. Chef Mchale demonstrated two signatures dishes, even bringing in haggis from his hometown of Scotland. 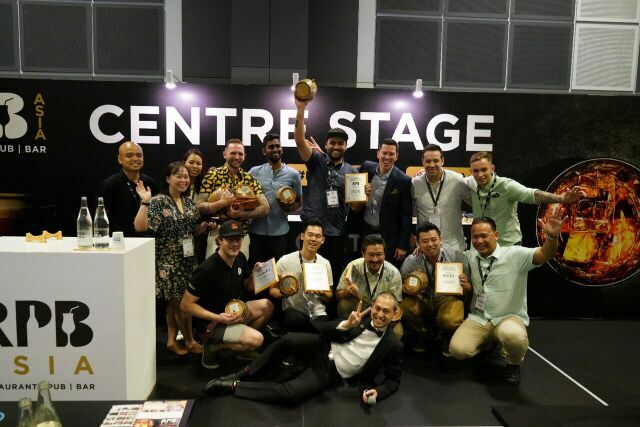 Presenting chefs this year included renowned cookbook author, Christopher Tan, Javad Ahamad from Punjab Grill, and Alexander McKinstry from Viceroy Bali. Chef Neo Jun Hao, the newly-minted winner for Singapore’s Disciples Escoffier Young Talent – the culinary competition for young chefs under the age of 25 – conducted his live practice run at the Show before representing the country at the Asia Finals in Hong Kong this September. 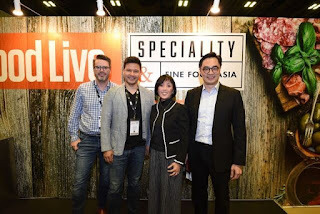 There were four panel discussions held over the three-day show, with experts including Chef Julien Royer from two Michelin-starred Odette, World’s 50 Best Restaurants TasteHunters Cheryl Tiu and Lennard Yeong, Dinesh Balasingam, Chief Operating Officer of Chope, and representatives from DHL, Edelman, Ernst & Young, GrabFood, KPMG, Zenith Global and more who took to the stage. 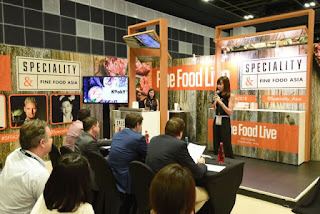 Captivating the audience with their engaging discussions and insights, the panelists shared real-life experiences and views on practical issues ranging from ‘The Fine Art of (Conscious) Dining’ – where they explored the definition of conscious dining and how that fits into the fine dining space, ‘Global F&B Outlook’, ‘Going Digital’ and ‘From Farm to Kitchen’. 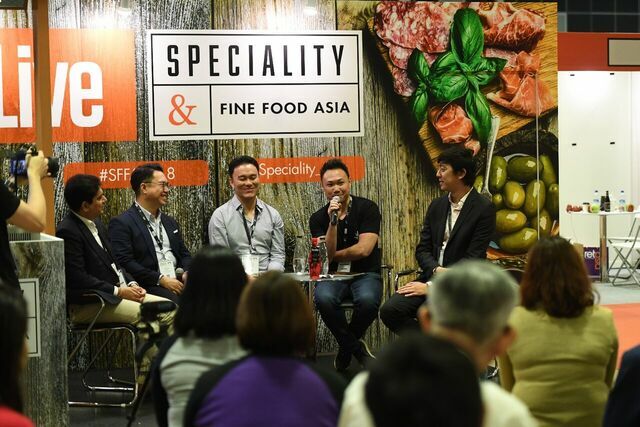 Speciality & Fine Food Asia and Restaurant, Pub & Bar Asia will take place again next year from 17-19 July 2019 while the 2018 UK edition will take place from 2-4 September 2018 at Olympia, London. 101 golf courses, and counting, are spread across the 7,107 islands that make up the Philippines. It is no surprise that golfing has become such a booming industry in recent years in the Philippines, as the tropical paradise makes the perfect backdrop for a golf course. 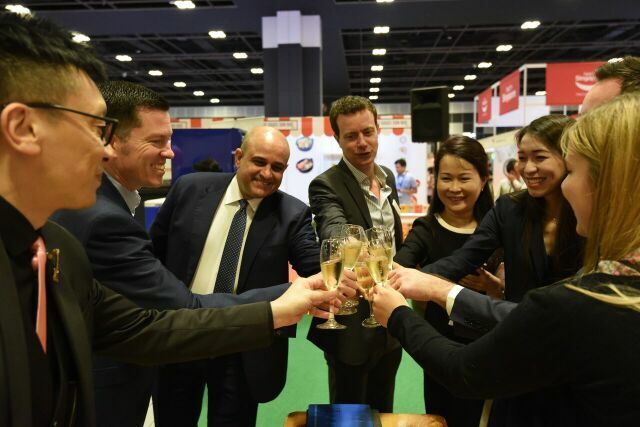 As such, the Philippines now plays host to some of the world's finest courses, which has caused a boom in the industry and the business it attracts. 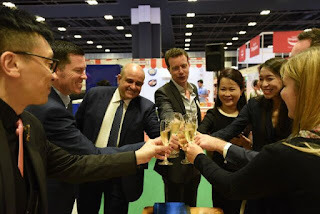 So much so, in fact, that in April of 2018, more than 200 golf tour operators from around the world participated in the largest series of golf tours ever undertaken in Asia when the Philippines hosted the area’s annual gathering of golf tourism professionals. So, if you're ready to take in the natural beauty of the Philippines, and contribute to one of the country’s largest growing sectors and sports, it's worth doing some preparations so that you can make the most of your time in paradise. If you want to play on the Masters course at Manila Southwoods, you'll want to have a swing worthy of the green. The best way to do this is to practice. And, there's no better place to do so than a driving range. Even though you're standing mostly stationary at a driving range, you can practice and prepare your swing for every occasion. Talk to an expert and learn how you can utilize your local driving range to prep from everything between being stuck in the sand to getting off the perfect long shot. While you can certainly rent equipment from courses, there's nothing like having your own clubs with you. If you haven't yet purchased your own set of clubs, practice with several styles at your local courses. Once you find what you're most comfortable with, go for it. Bringing along a range of irons and a putter, on which you have logged several hours of play time, to your trip to the Philippines will help ensure that you are putting your best swing forward. Golf is a game that is meant to be shared. And, it would be a waste to enjoy the scenic views on the courses of the Philippines on a game you have to play alone. Plan your trip ahead and bring along your best golfing buddies, making sure to select those ready to commit to the game. Together, you can plot out your journey across the islands, hitting up the best courses along the way. 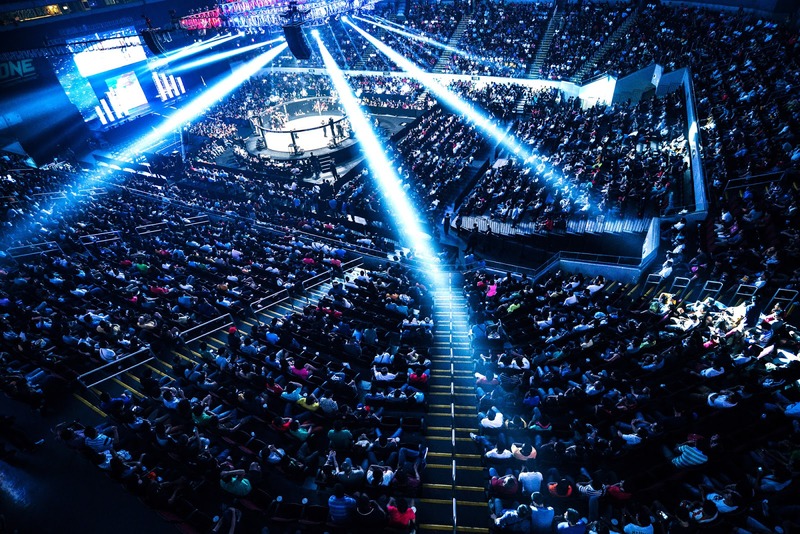 As the Philippines continues to host some of the sport’s finest and most competitive tournaments, you’ll likely be tempted to head off to paradise for a few rounds. A little preparation will go a long way toward ensuring that your trip across the golf courses of the Philippines swings just the way you want it to. 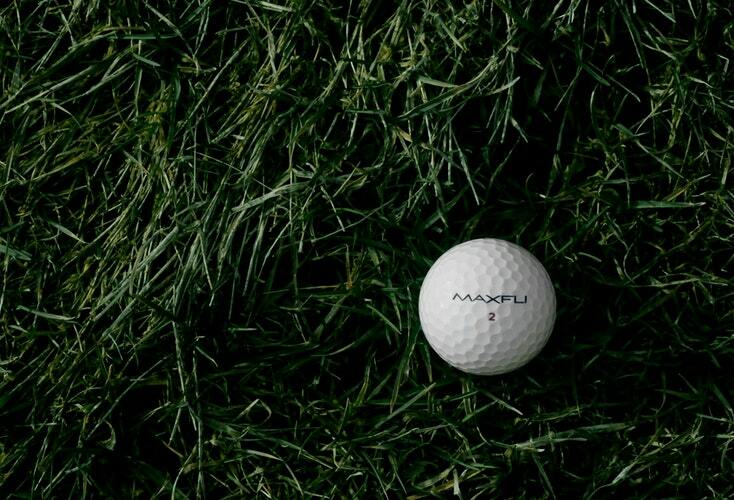 Grab your clubs and putter up, the greens await you. 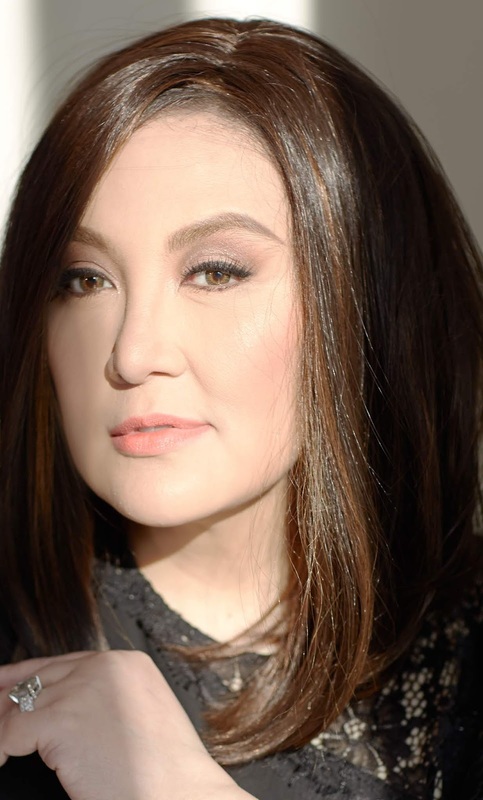 History Maker Awards 2018's Stellar Line-up Include Sharon Cuneta, Vilma Santos, Aga Muhlach, Christopher de Leon, and More! HISTORY Maker Award Ceremony will take place on the second day of HISTORY CON 2018, 11th August 2018 at the World Trade Center Manila. In partnership with Philippine Star, A+E Networks Asia announced today the stellar line-up of Filipino luminaries who will be honored for their significant contribution to the nation’s life and culture with the HISTORY Maker Award. This year’s distinguished recipients are Victor Consunji, Jessica Soho, Lea Salonga, Nora Aunor, Christopher de Leon, Albert Martinez, Sharon Cuneta, Vilma Santos, Aga Muhlach, and The Philippine Azkals. HISTORY CON 2018 ticket purchasers are welcomed to join in the celebration to honor these extraordinary Filipinos at the award ceremony, which will be conducted on 11th August, the second day of HISTORY CON 2018 at the World Trade Center Manila. HISTORY Makers are a special few whose talent, efforts, dedication and sacrifices illuminate and inspire the lives of many others. The inaugural HISTORY Maker Award was launched in 2017 with distinguished dignitaries, namely, Pia Wurtzbach, Anne Curtis, Hidilyn Diaz, Himalayan Adventure Team, Ryan Cayabyab, Illac Diaz, Brillante Mendoza, Reinabelle Reyes, and Romi Garduce. HISTORY CON 2018, Manila’s biggest entertainment convention will be held at the World Trade Center Manila from 10th to 12th August 2018. Katheryn Winnick of HISTORY’s Emmy-winning series, Vikings will make her first special appearance in Asia as the headlining international celebrity alongside Giorgio A. Tsoukalos of HISTORY’s hit series, Ancient Aliens. The star-studded extravaganza also include Manila’s favorite local celebrities Xian Lim and Diego Loyzaga starring in HISTORY Asia’s award-winning original automotive reality series, Celebrity Car Wars, Jamie Dempsey (Ride N’Seek), Simon Yin (Hidden Cities Extreme and HISTORY Hustle) and popular Singaporean social media influencer, Yeoh Mong Chin of LIFETIME Asia’s latest digital-first original series, Who Runs the World. Ancient Aliens explores the theory that extra-terrestrials have been visiting the Earth for millions of years. The series is produced by Prometheus Entertainment. 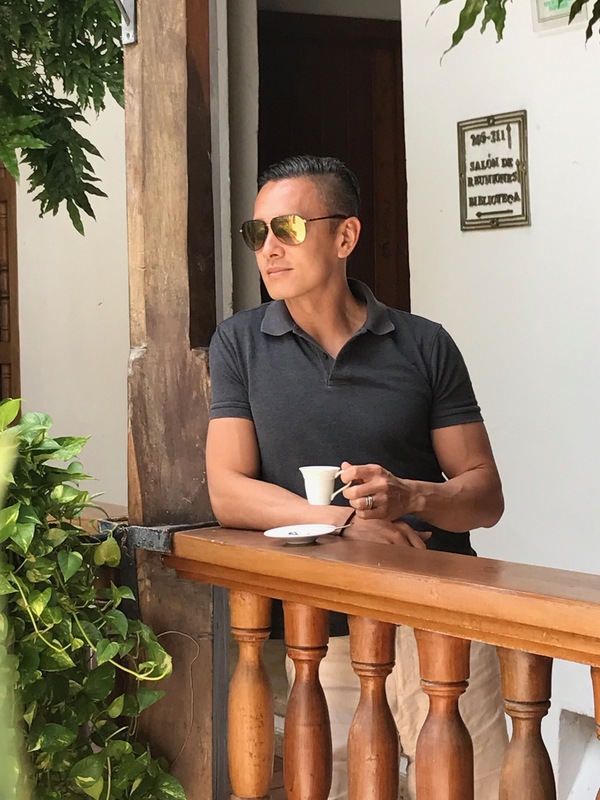 Victor Consunji, 38, is a Filipino marathoner, businessman, and the CEO of Victor Consunji Development Corporation. In two and a half years, he ran in each continent, including the Antarctica and Arctic region and became the first Filipino to marathon in all seven continents after he finished the North Pole marathon in December 2017. With his unbelievable fortitude and steely ambition, his incredible determination to conquer all continents has garnered him the utmost respect and the merit of being a HISTORY Maker. Jessica Soho, 54, is an award-winning and one of the country’s most credible journalists. She is the first Filipino to become a finalist for the Best News Anchor category in the New York Festivals Television and Film Awards. 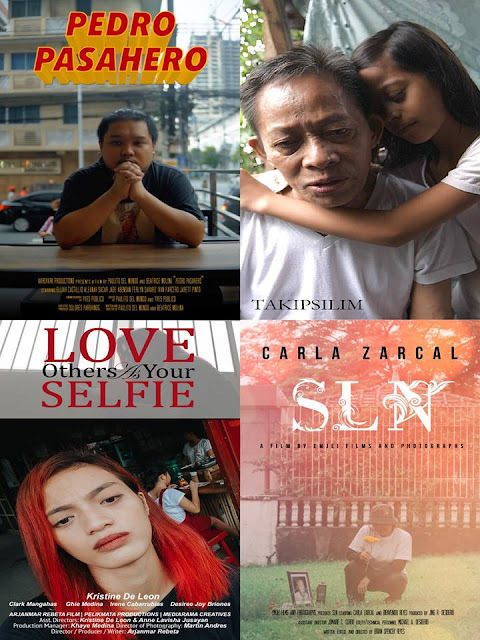 She has been one of the most awarded news pillars in the Philippines, garnering over 300 local awards and more than 30 international awards including the prestigious George Foster Peabody Award for her excellent issue-oriented documentaries. Renowned for her grit and commitment to delivering the truth to the public, this veteran journalist transformed the way stories are told, captured and shared in Philippine media. With her impeccable track record, she continues to be one of the most trustworthy names in journalism, and is truly deserving of being named a HISTORY Maker. Known across the world for her powerful voice and perfect pitch, Lea Salonga, 47, is a singer and actress who is best known for her Tony Award winning role in Miss Saigon. She made history as the first Asian woman to receive a Tony Award, and has also won the Olivier, Drama Desk, Outer Critics Circle and Theatre World Awards, in the field of musical theatre. She was also the first Asian to play Eponine in the musical Les Misérables on Broadway and returned to the beloved show as Fantine in the 2006 revival. With decades of bringing Filipino talent to the global stage under her belt and counting, there is no doubt she will be remembered and revered for making HISTORY—not just as the first Kim, but as the only Lea Salonga. Nora Aunor, 64, is a veteran actress, recording artist, film producer, and one of the biggest stars in Philippine cinema, with nearly 200 awards to her name over the course of her 50-year career. She received 17 FAMAS Award nominations and was elevated to the "Hall of Fame" after winning five Best Actress Awards, is the most nominated actress of Gawad Urian Awards with 20 nominations, winning seven, and has more nominations as Best Actress than any other Filipino actor in both FAMAS and Gawad Urian award giving bodies. Known as Philippine cinema’s “Superstar,” she broke all stereotypes of a typical movie star as her gripping performances, famously expressive eyes and undeniable relatability won the hearts and admiration of the masses. As the People’s National Artist, there’s no doubt that Nora Aunor is a historic icon—a HISTORY maker—like no other. Christopher "Boyet" Strauss de Leon, 61, is a Filipino film actor, director, producer, singer, endorser and politician. 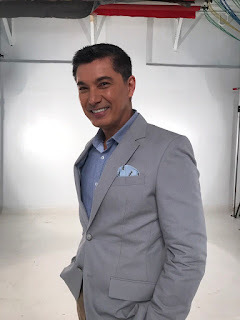 He has appeared in over 120 films and soap operas in a span of four decades, and has won the FAMAS (The Filipino Academy of Movie Arts and Sciences Awards) Best Actor award five times. The latest FAMAS award he was nominated for was in 2016 under the category of Best Supporting Actor (for Tragic Theater) and the latest award he won was the Cinema One Legend Award in 2009—all markings of a talented, versatile performer and public personality who deserves to be named a HISTORY Maker. Albert Martinez, 57, is a Filipino actor, director, and producer. 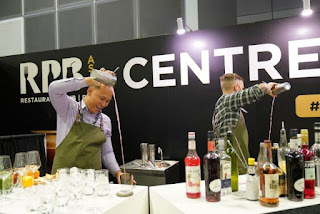 Through his long career, he has worked hard to overcome all challenges and difficulties in the industry, and has emerged a much-admired talent in a myriad of roles. In 2010, he won a FAMAS award (The Filipino Academy of Movie Arts and Sciences Awards) as Best Director for his film, Rosario, which was an official entry and was shown in the 2010 Metro Manila Film Festival. This HISTORY Maker remains to be one of the most widely recognized actors of his generation and continues to be a formidable performer today. Sharon Cuneta, 52, is a Filipino singer, actress, talk show host, commercial ad endorser and a reality show judge. In 2009, she won Film Actress of the Year for the film, Caregiver. She holds the record of having the most number of Box Office Queen of RP Movies titles (9 titles from 1984-1996). She was elevated to the Box Office Hall of Fame in 1990. 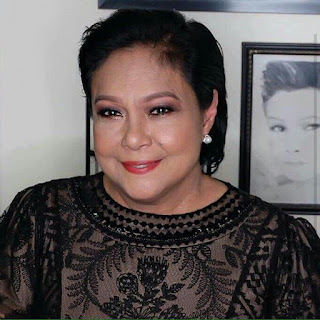 She was also hailed as the Top Female Box Office Star of 1985 "Bida sa Takilya" given during the FAMAS Awards, 1986, for the success of her movie, "Bituing Walang Ningning" and was also awarded as the 1991 Box Office Record Award for the movie "Maging Sino Ka Man" given by the Greater Metro Manila Theater Association. She has gone out to conquer every single role she has tried: Her movies have earned over P3 billion at the box office. She has received at least 30 best actress nominations—winning over a dozen through the years. She has at least 15 Gold, Platinum, Double Platinum and Triple Platinum awards for her music. Through it all, her charm and star power has never dulled. Vilma Santos-Recto, 64, commonly known as Ate Vi, is a Filipino actress, former mayor of Lipa, Batangas and former governor of Batangas. She is part of the FAMAS Hall of Fame, and in 2006, she won as Best Actress in a Single TV Performance for Maala-ala Mo Kaya: 'Regalo' episode - Star Awards for TV. Last year, she won PEP Female Movie Star of the Year for the movie, Everything About Her. She rose up to become the versatile actress that has been given the fitting title of “Star for All Seasons” because of her capacity to adapt to the changing mores and values of the Filipino woman, giving a face to their plight and struggles, albeit in success both critically and box-office wise in some of Philippine cinema’s classics. She brought this care and concern for Filipinos as a public servant, and her tenure was sterling and successful. One of the pioneer Philippine movie queens, she is one of the greatest actors of her generation and remains widely recognized today as an icon whose work will be remembered throughout HISTORY. 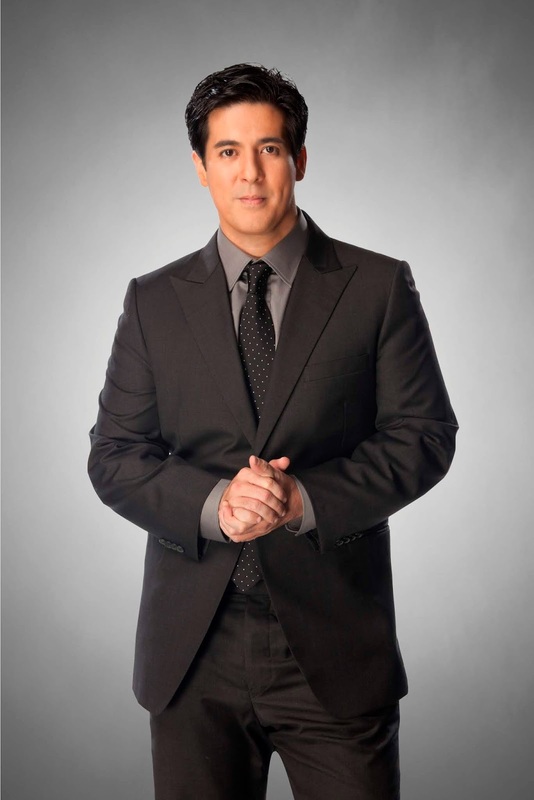 Aga Muhlach, 48, is a multi-award winning Filipino actor. He's been nominated several times for the FAMAS Awards and won in 1993 for the movie, Sinungaling Mong Puso. He is also claimed as a multi-media product endorser, a role model to Filipinos of all ages, a supporter of underprivileged children, a matinee idol, and multi-award-winning actor. This HISTORY Maker remains one of the top dramatic actors in the Philippines, and is known for being one of Philippine cinema's leading men of romantic dramas. The Philippine Azkals is the Philippine National Men’s Football Team. The group’s name which means “stray dog” is derived from two Filipino words “aso” and “kalye.” It was coined by passionate Filipino fans from all over the world. 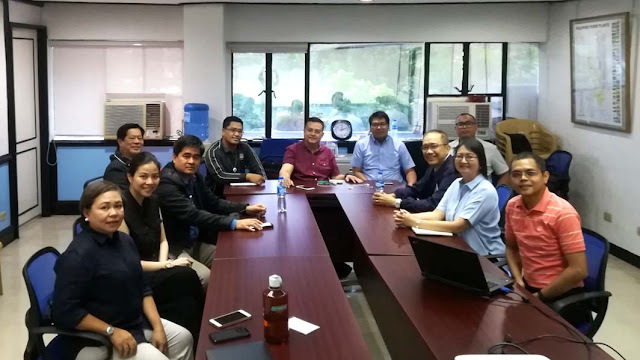 The group aims to make the country proud and ignite the Filipinos’ interest in football. In 2018, the team achieved its highest spot of 111th in the Federation of International Football Association (FIFA) rankings, the highest rank the national team has achieved since the introduction of such rankings in 1993. 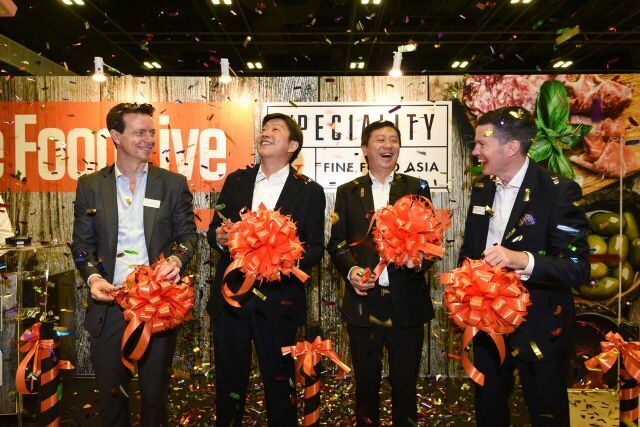 The team also ranked top among the South East Asian countries in the last couple of years. Last May, the Azkals made history and qualified for the AFC Asian Cup for the World Cup, continuously raising the country’s flag high on the global playing field. Their inspiring team spirit, talent, and passion has united millions of Filipinos—known to be some of the most rabid basketball fans—around football and Filipino excellence. 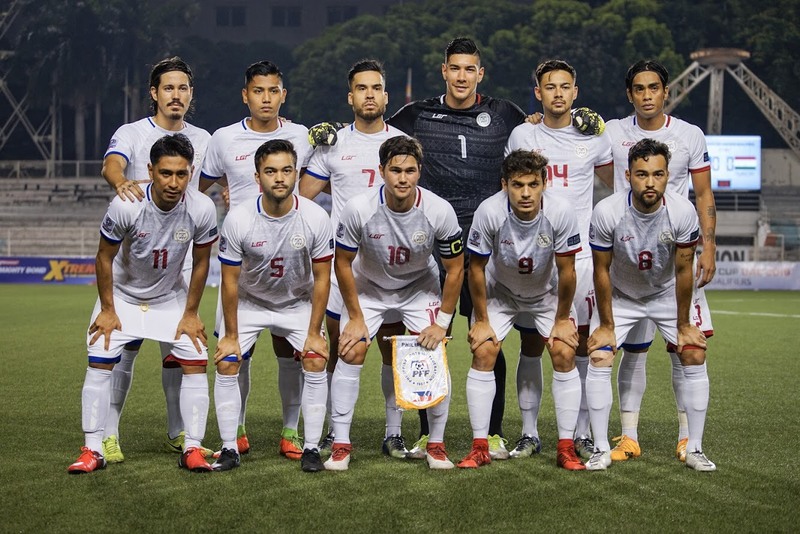 The Philippine Azkals are truly HISTORY Makers. 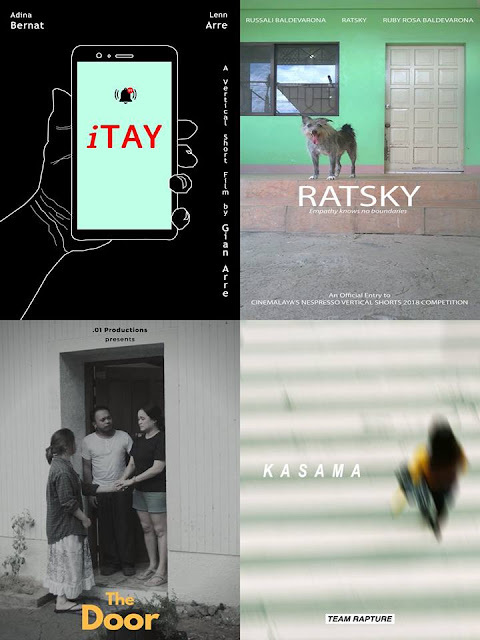 Three short films produced by digital filmmaking students and recent graduates of the De La Salle-College of Saint Benilde (DLS-CSB) School of Design and Arts were selected as finalists to the Cinemalaya Nespresso Vertical Shorts Competition. "iTay" by Gian Arre, "Kasama" by Ira Lastrilla and "Pedro Pasahero" by Paulito Del Mundo Parohinog and Beatrice Molina are among the entries which will vie for awards in the new competition organized by Novateur Coffee Concepts, Inc., CCP and Cinemalaya Foundation. 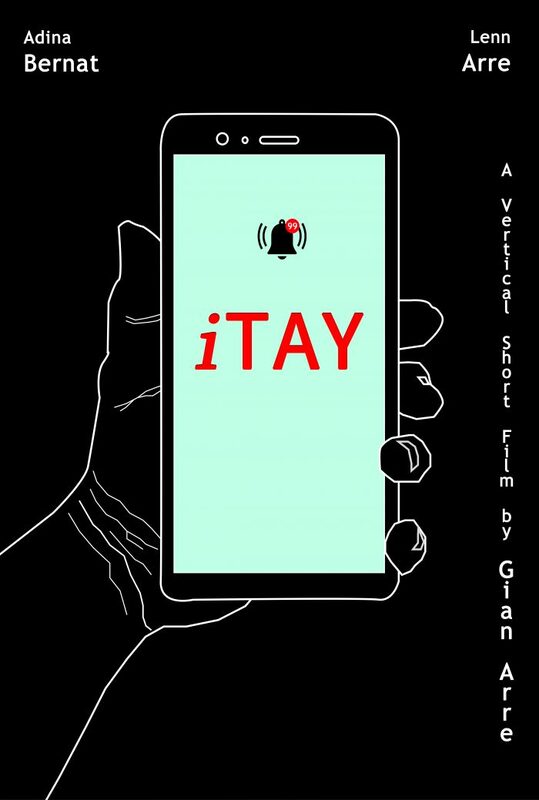 A tribute to fathers and children, "iTay" follows a lonesome young woman who becomes overwhelmed with attention when a father learns how to use a new phone as a means to be a parent in this age. The film explores how some parents find their purpose in taking care of their children and how they may feel stripped of this purpose when they lose their family. 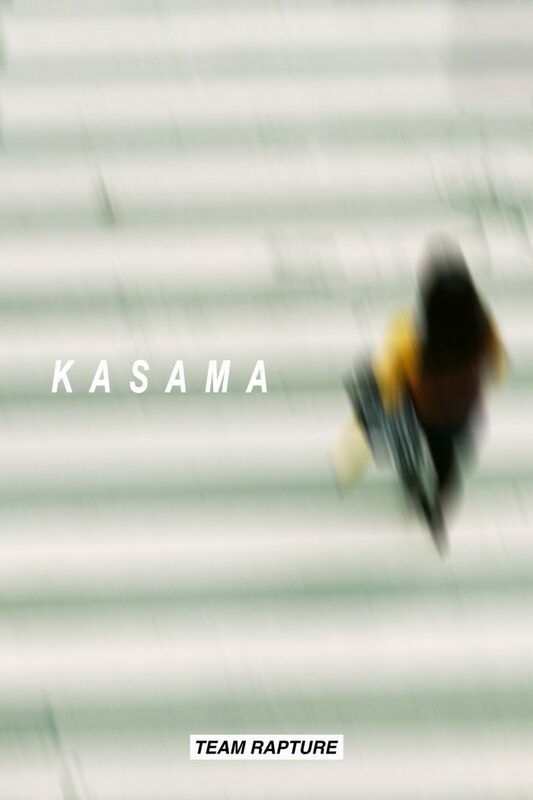 "Kasama" tells the story of Rica, played by Benilde film alumna Beatrice Ramos, who has just lost her job. On her way home, she recalls the moments in her life when friends and family lifted her spirits. She tries to figure out the reasons behind their actions until a chance encounter gives her a hint. Apart from Ramos, Lastrilla also got the support of fellow Benilde film alumni Remil Baylon as co-writer, Jaig de Guzman as cinematographer and Rachel Esperon as co-producer. 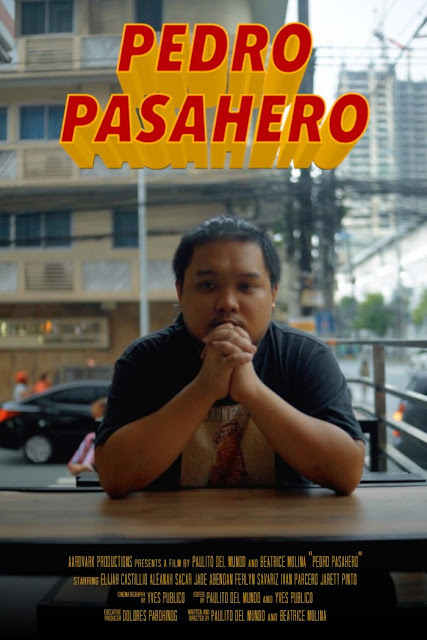 Meanwhile, "Pedro Pasahero" is about a breadwinner who faces the pressures of providing for his mother and little sister. When he decides to rob a utility vehicle, every passenger reminds him of what he is taking away from them. Benildean filmmaker and recent graduate Yves Publico served as cinematographer. Completing the list of finalists are "Ratsky" by Ruby Rosa Baldevarona, "The Door" by James Edward Golla, "Takipsilim" by Benny Yunsay Pioquinto, "Love Others As You Love Your Selfie" by Arjanmar Rebeta, "SLN" by Brian Spencer Reyes, "Ako" by Jonel Revistual, "Kapit Lang" by Christian Borras Tan, "Braveheart" by Kevin Tuason and "Yakap" by Michael Sy Yu. All participating films were shot using a mobile phone, with a maximum length of three minutes and in a vertical format (9:16). The theme for this year's contest is "pagmamalasakit" or empathy, which is a value most honored by Filipinos. Competition finalists will be shown at the Tanghalang Manuel Conde (CCP Dream Theater) on August 11, 10 a.m. There will also be a talkback forum after the film screenings to give the audience a chance to ask questions on aspects of film production. 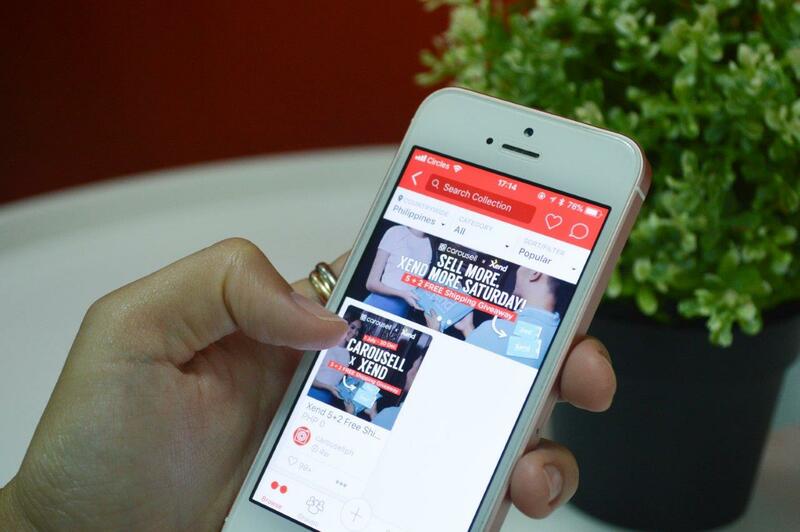 Moreover, it will serve as an opportunity for members of the production team to interact with the viewers. 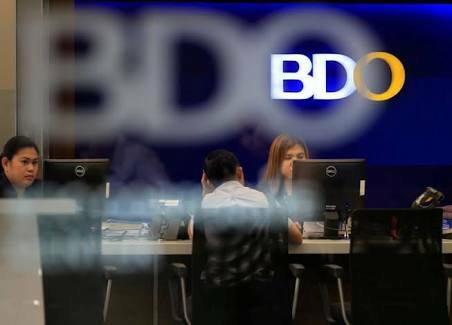 The grand prize winner will receive 50,000 pesos in cash. The second and third placers will get 30,000 and 20,000 pesos, respectively. 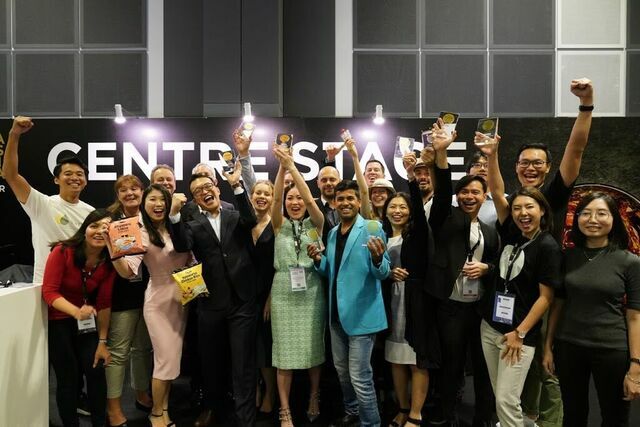 All of them will also take home state-of-the-art Nespresso machines and coffee capsule packages. 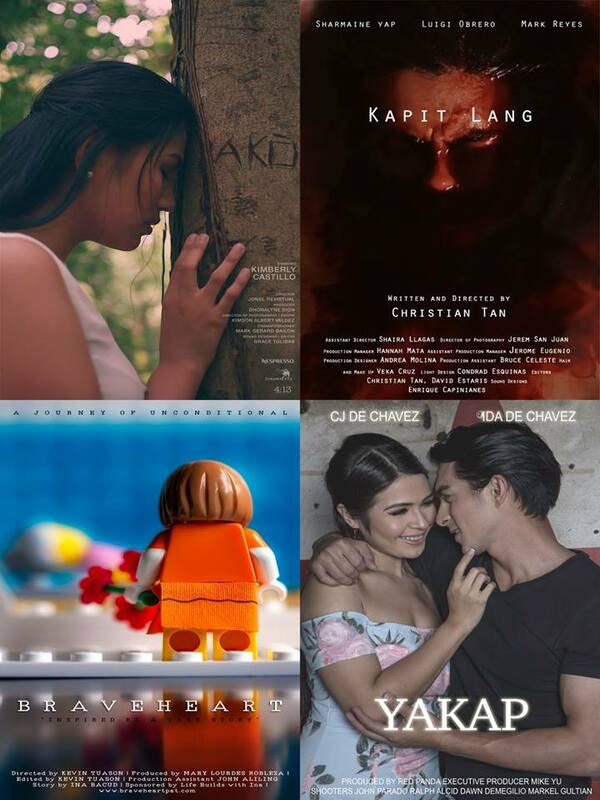 Winners will be announced during the Cinemalaya Awards Night on August 12. 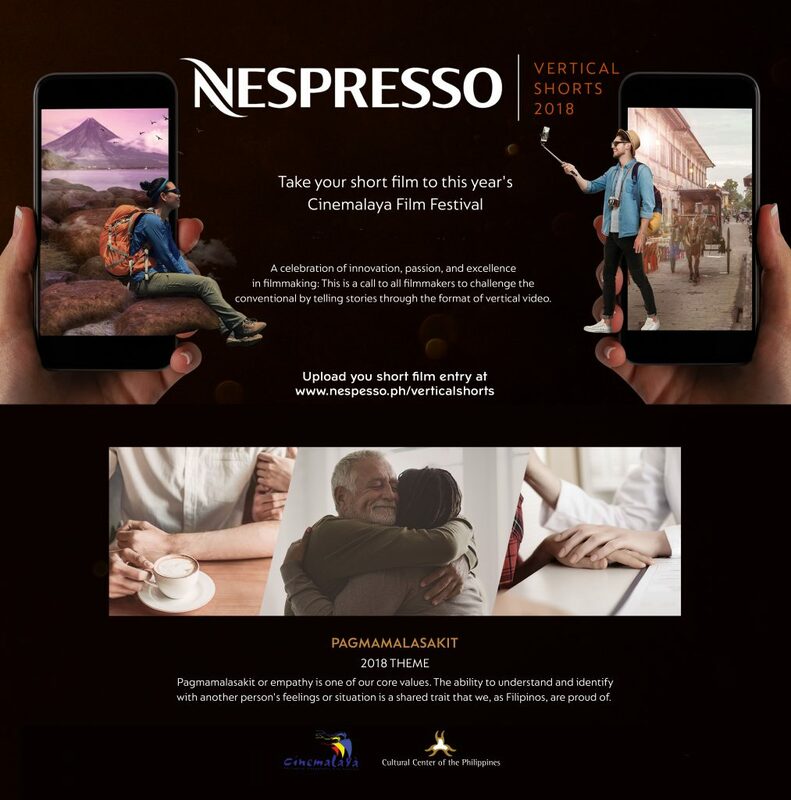 Apart from serving as a challenge to young filmmakers to share their stories through vertical video, the contest is also a celebration of innovation, passion, and excellence in filmmaking.